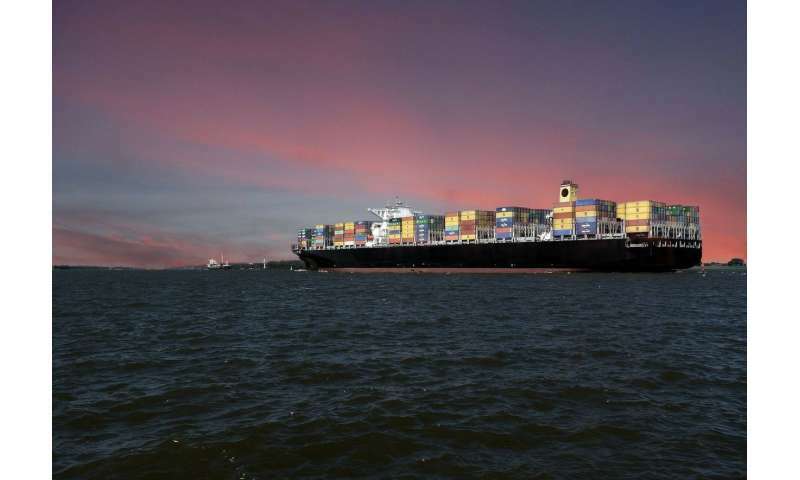 The UNSW team tracking cargo lost from a ship near Port Stephens are now predicting the path of the containers days in advance. More debris lost in the Port Stephens shipping container spill could be brought back to Australia's coast in the coming days by the eddies of the East Australian Current. A team of UNSW Canberra and Jerusalem College of Technology researchers are tracking the 81 containers that were lost overboard from the YM Efficiency. The team's ocean debris tracking model is now able to predict the dispersion of lost cargo days ahead of its arrival and the beaching patterns have matched well with the observed beached debris. The UNSW Canberra team is led by Dr. Isabel Jalón Rojas and includes Professor Xiao Hua Wang, the Director of UNSW Canberra's Sino-Australia Research Centre for Coastal Management (SARCCM), and Ph.D. student Fanglou Liao. The Jerusalem College of Technology team is led by Professor Erick Fredj. Dr. Jalón Rojas has analysed data tracking the debris, which demonstrates the debris has shifted both north and south along the NSW coast. "According to our simulations, at this moment some debris may be still near Port Stephens, while other debris are moving away from the coast following currents, in particular following the eddies of the East Australian Current," Dr. Jalón Rojas said. "This offshore debris may be brought back by the same eddy in coming days." Dr. Jalón Rojas says wind is an important driver as there is a strong correlation between the wind and current direction. The containers were storing objects as diverse as nappies, furniture and tyres. The Newcastle Herald reported that yoga mats made up the latest load of debris, which was salvaged off Fingal Island. The nature of the debris affects how it is dispersed. The current 2-D model is tracking the transport of debris in surface waters. The team is also working on a 3-D model that can track the debris route beneath the ocean's surface. Dr. Fredj says the 3-D model will consider more complex biophysical processes involved in the transport of marine debris. "The plastic marine debris problem can be viewed as a source, pathway and sink problem," Dr. Fredj says. "Simulations using numerical models can be important tools in estimating any of these three issues. Simulations can also be used to test hypotheses addressing knowledge gaps within these three topics." The retrieval of debris continued this week and about 947 sq m of waste has already been collected, according to NSW Maritime. Just two containers have washed ashore. If the tracking project is successful it could be applied to other incidents across the globe, and enable more effective clean-up efforts. Aircraft debris looks like it's from MH370 – now can we find the rest? Where will the debris from Japan's tsunami drift in the ocean? How could ocean currents affect search for missing Malaysian Airlines flight MH370?